Once the two of you have been dating for a while, the basic dinner-and-a-movie date gets old. If your partner is worth dating, he or she is worth having fun with. Make a list of creative, wacky, outside-the-box activities the two of you would enjoy doing together, and then do them. 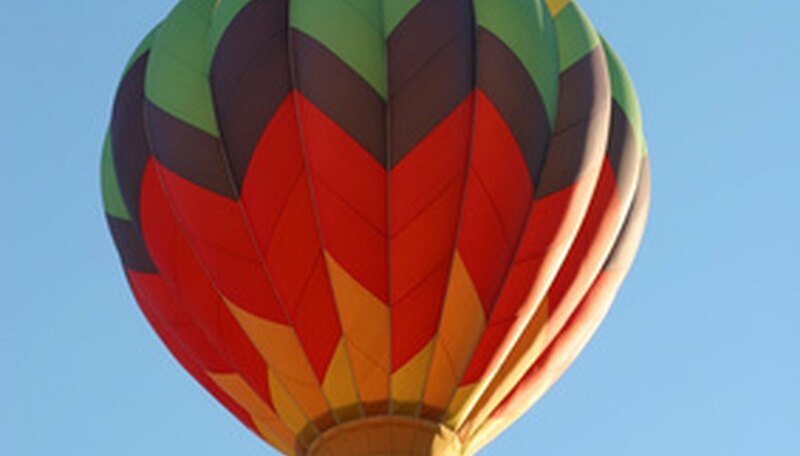 A hot-air balloon ride is a fun, romantic date. The condition commonly known as Two Left Feet is curable. Dancing is not only fun, it's good exercise. Take ballroom or salsa (Latin dance) lessons at your local Arthur Murray studio, YMCA or through a college's continuing education program. If formal dance sounds a little too formal for your tastes, the Country Dance and Song Society of America has affiliate groups in most major cities, and these groups offer weekly folk dances. The dances are easy — if you can walk and/or did the Virginia Reel in elementary school gym class, you can folk dance. Beginner lessons are offered at the beginning of most of their events, and a night of folk dancing costs about $5 per person. Whether you live near a beach or a large, open park, this is an inexpensive way to have a lot of fun. Get a frisbee that lights up when you throw it, and two packs of thin glow sticks. Once it's dark outside, activate the glow sticks, attach them together to form necklaces (so you can see where to throw the Frisbee to your partner) and play Frisbee all night long — or at least until the glow sticks fade. Non-profit organizations are always in need of an extra pair of helping hands, and two pairs of helping hands are even better. Sign up to spend a Saturday with Habitat for Humanity building a house for a family that couldn't otherwise afford a home. Help your animal shelter take dogs or cats in need of a good home to an adoption event at a local pet supply store. Find an Adopt-A-Highway group and help them clean up roadside trash. Take rubber gloves and trash bags to your favorite park (perhaps where you played nighttime Frisbee) and clean it up yourselves. Whether it's Monopoly, Pictionary, checkers or your old Battleship set, bring out the games and have some fun. If you don't have any games, find a deck of cards and play Crazy Eights, Go Fish or Gin. Snacks and soft drinks are a must-have for this date night. Think of fun, couples-oriented snacks you can feed each other between turns — strawberries, chocolate squares or small cookies. Forbes, Rhomylly. "Couple Dating Ideas." Dating Tips - Match.com, https://datingtips.match.com/couple-dating-ideas-7907485.html. Accessed 19 April 2019.